Between the first of the year and before school gets out for Summer I like to get most of my organizing, cleaning, and decluttering done so I can have some free time with my family. 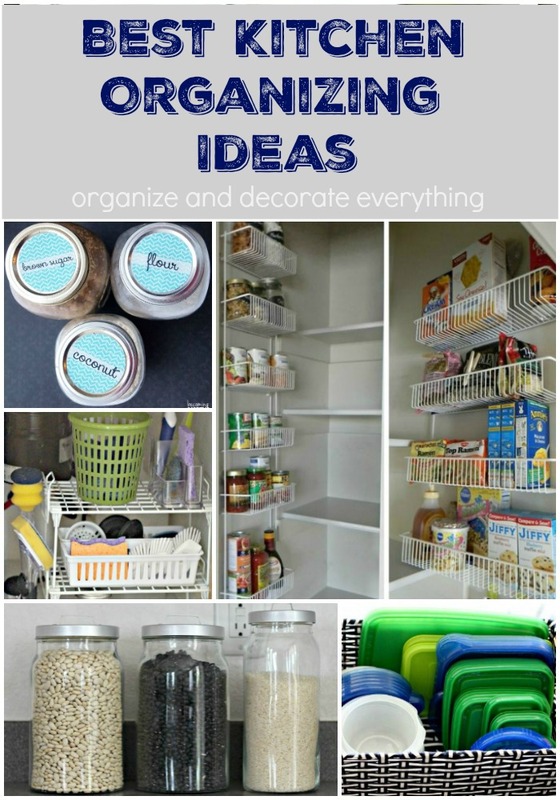 Here are some of my Best Kitchen Organizing Ideas to help you get your kitchen organized and to give you more time for other things. 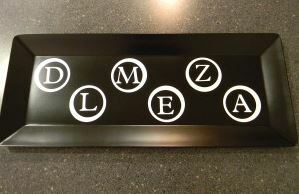 If you click on each link there will be more details and ideas for each area of your kitchen. Are you ready to get started? Free Printable Jar Labels – As much as I like to be organized I think it’s just as important to do it in style. 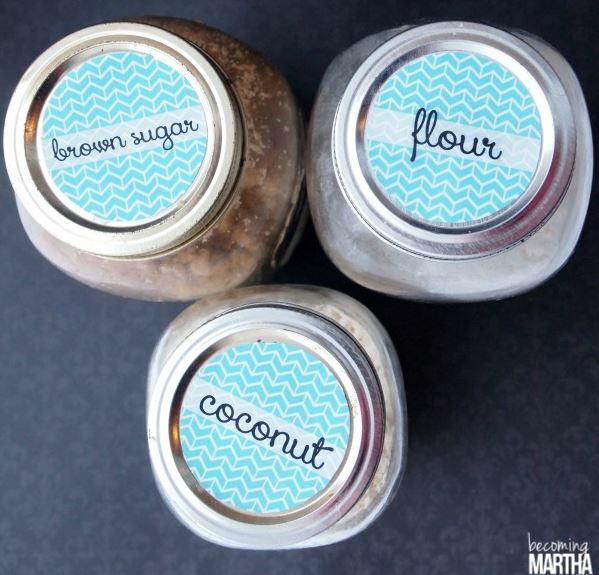 These labels are the perfect way to organize your mason jars and label the contents. There are 8 colors to choose from so you can pick the perfect color for your kitchen. 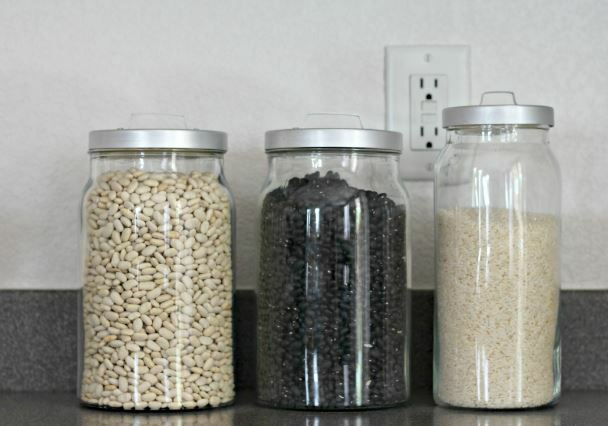 Organize with Jars – Use jars to organize almost anything in the kitchen from rice and beans to soap and utensils and everything in between. Jars make it easy to quickly see when you are running low on any food or product. 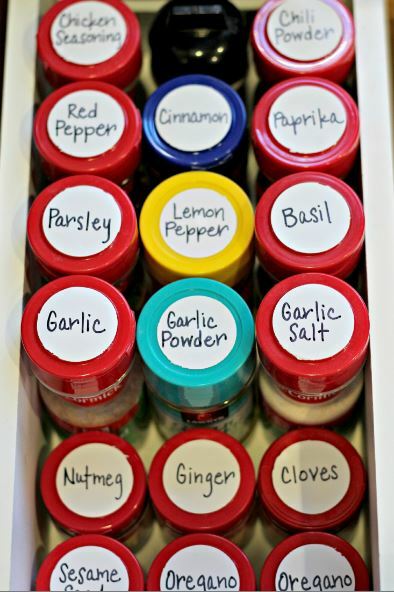 Label Spices – Use a circle punch and adhesive vinyl to make quick and easy labels for your spice containers. Cup Organizer Tray – If you have a problem with cups all over kitchen and not knowing who’s cup belongs to who then this tray might be the answer to your problem. I made this 6 years ago and we still use it every day. 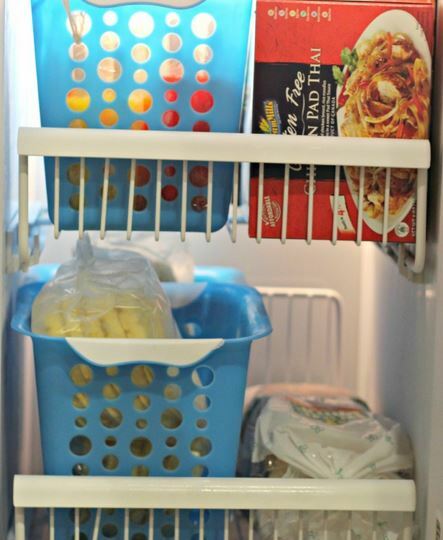 Freezer Organization – Using baskets in the freezer is a great option to keep small things together. There are many other great ideas to keep your freezer organized in this post. 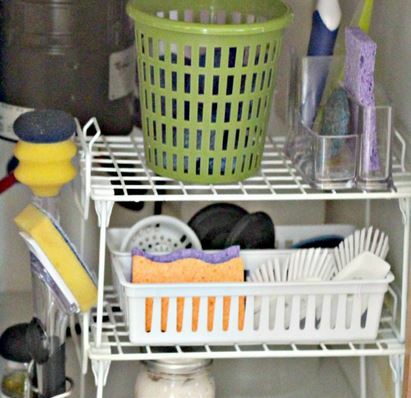 Under the Sink – Easy ways to inexpensively store and organize products and cleaning supplies under the sink. 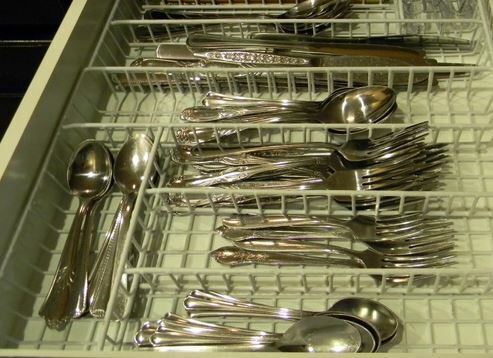 Eating and Cooking Utensils – Clean out the drawers and containers to hold only your necessary utensils. 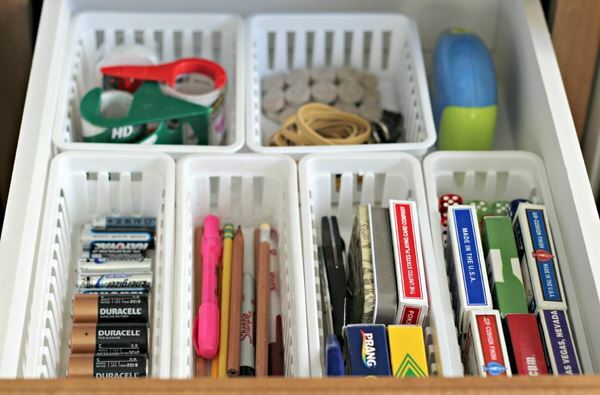 Junk Drawer – Use small plastic baskets to keep like things together and organized. Clean out this drawer regularly or it can get out of hand. Click over to see all my tips. Use Baskets – Sometimes it’s hard to keep odd shaped or small items together and organized. Using baskets is an easy way to keep things together and contained. 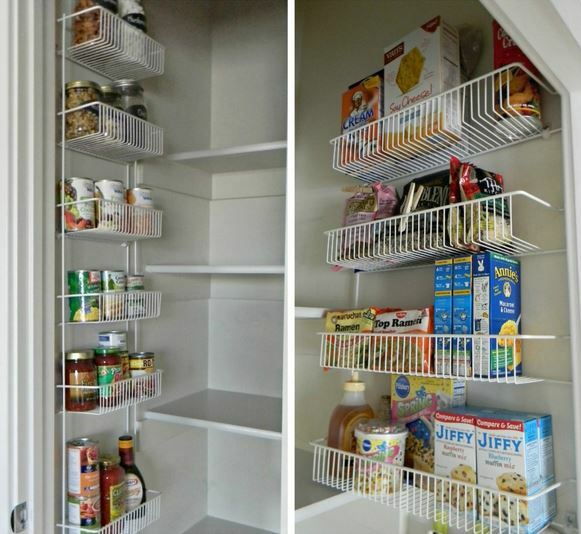 Organized Pantry – Use wire shelves, over the door organizers, hooks, extra shelves, jars, plastic containers, and labels to keep the most used space in your kitchen organized. 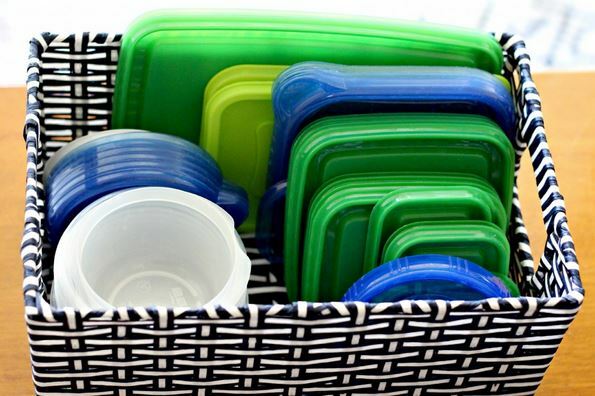 Use these ideas to get your kitchen organized and in the shape you want it. Work on one area at a time until you have finished the whole room. Thanks for the kitchen ideas, Leanneja! I especially love the idea of labeling spices. Totally cool! I’m gonna buy a couple of bottles for the spices soon, so I think I’ll try to make it like this. It’s a great idea for a beautiful kitchen. I like your information. Thank you for shear a great post.